The beautiful Shih Tzu dog breed was once considered an esteemed animal in China due to its association with Buddhism. The name itself is translated to lion dog; most likely due to its full mane. The breed originated from Tibet, and during the early 17th Century it was considered a holy dog. Shih Tzu’s made their way to China, where they were a favored house pet during the Ming Dynasty. While in China the breed further developed between the years 1861 and 1908, under the reign of Empress Dowager Cixi. Many years later the adorable and highly respected breed made its way to America where the American Kennel Club officially recognized the breed in 1969. Today, Shih Tzu’s are popular choices when pet owners are looking for a gentle companion dog or a playful and sweet family dog. They are very friendly with other dogs, pets and strangers. Their love for being playful, affectionate and spunky, make them a perfect playmate for children. While Shih Tzu’s may have a stubborn streak at times, it is easy to overlook due to the spunky personality and all of their other positive qualities. Another benefit of bringing a Shih Tzu into your life is their tendency to learn quickly, which makes them easy to train. Whether you are teaching them obedience training, agility training or showing them in a dog show, they are sure to please you with their ability to adhere to your commands. Full grown male and female Shih Tzu’s grow to the height of 8 to 11 inches and their weight ranges from 9 to 16 pounds. Their compact body is sturdy and their facial expression is kind, sweet and wide-eyed. Their luxurious hair requires extensive grooming and care. Many pet owners enjoy grooming a Shih Tzu and creating fun hairstyles. They require grooming every other day or possibly every day if their activity level is high. It is highly recommended to begin grooming your Shih Tzu when they are young to prepare them for a lifetime of grooming sessions. Shih Tzu’s require daily exercise and do well when they walk outdoors on short, brief walks a few times a day. They are sensitive to extreme heat and cold and are better indoor pets than outdoors. 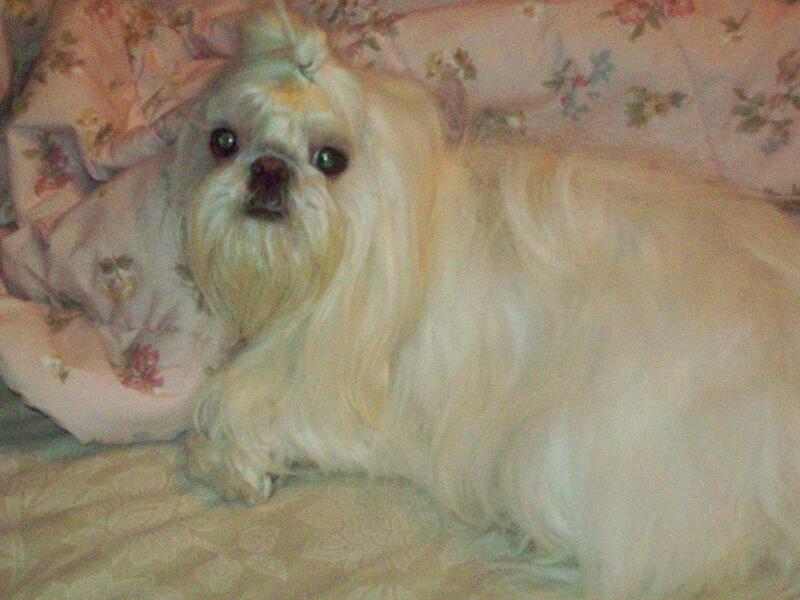 Never allow a Shih Tzu to be outdoors for long periods of time during humid, hot temperatures or cold snowy winters. Just brief exposure to the elements is acceptable and quickly return indoors again. Shih Tzu’s are generally healthy, sturdy dogs that have a life span of 11 to 14 years. There are no major health concerns associated with the breed. However, at times, the breed may experience or develop health concerns such as trichiasis, inguinal hernias and renal cortical hypoplasia. All dog breeds have potential health issues and the Shih Tzu is considered one of the healthiest dog breeds when compared to others. These health issues should not deter pet owners from adopting or welcoming a Shih Tzu dog into your life. Shih Tzu’s will be a loyal, vivacious, companion lap dog and a dedicated family member that will keep the kids busy with their playful antics and gentle attitude. The beautiful Shih Tzu dog breed was once considered an esteemed animal in China due to its association with Buddhism.